Whether to outsource web design projects or not is a major decision many online businesses have to make each day. This is especially so for small and medium size businesses that don’t have the resources needed to set up a full IT department. However, it’s not just SMEs that are outsourcing their projects to external businesses. Large corporations are also finding it necessary to pay professional website design agencies to build and maintain their sites. Outsourcing is a contract that exists when a business hires a specialist business or individual to accomplish a specific task. The hired specialist isn’t part of the hiring business. The contract can run for a single or multiple projects depending on what the hiring business wants. For example, an online marketing company that owns hundreds of sites can outsource the design, development and maintenance of the websites to an external web development agency. This allows the business owners to focus on marketing the sites. Hiring an external design agency has many benefits which include the following. Thanks to the internet, you can now hire a professional web designer from anywhere in the world. This opens up huge opportunities to hire the best service provider. It also allows you to pay less for the service provided. Hiring a web design firm located in North America or Europe could mean spending over $1000 for your site design. On the other hand, you can choose to outsource web design India and pay a fraction of this cost while still getting the same quality work. One of the major benefits of IT outsourcing is that you don’t need to set up your business’ IT department. Besides the cutting down on the costs involved in investing in human resource, space and IT facilities, outsourcing means you won’t have to worry about managing the entire department. Outsourcing simply allows you to transfer the burden of running an IT department to the specialist you hire. Once the contract is signed, all you need to do is sit back and wait for the web design project to be completed. The company or web designer you hire will be responsible for ensuring that anyone involved in the project plays their part fully. Web design technologies are continuously evolving. Old technologies are being updated to make them more secure and easy to use. In addition, new technologies are coming up. These technologies are making it possible to create highly customized websites that few people imagined possible. Now rather than just build a static website, it’s actually possible to build an application-like site to meet specific business needs. The existence of so many web design technologies has given rise to specialist designers. These are highly skilled professionals that focus and master a handful of technologies. For the business owner, hiring several specialist designers full time can become expensive. One of the benefits of outsourcing is that it’s cheaper since you’ll only hire a specialist designer based on the technologies needed for your next project. In addition, you won’t need to worry about investing in getting your business’ employees trained in the new emerging web design technologies. Another of the main advantages of outsourcing web design projects is that you can complete large projects fast. If you have an extremely large web design project that needs input from several different skills, outsourcing to India IT specialists can save you both time and money. 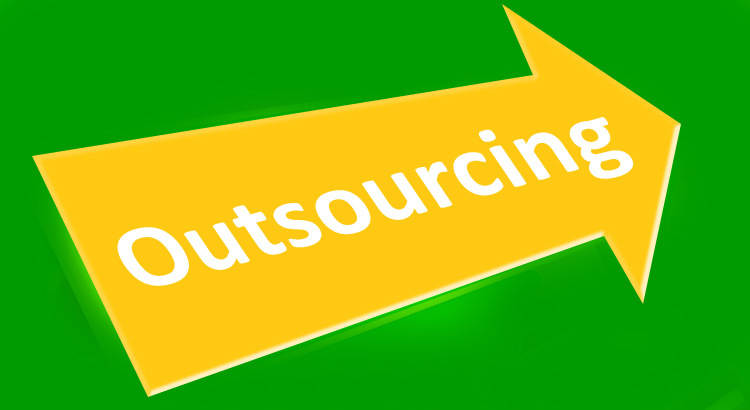 Outsourcing allows you to find the best service provider based on the talent and skills they provide. Without outsourcing, you’ll have to hire extra specialists to join your in-house team in order to complete a large time sensitive web design project. This would require huge financial and time investments even before the project takes off. Employee turnover is a major concern for many businesses. Web design professionals are in high demand and it’s not uncommon to see a designer opt to quit their 9 to 5 job to start an agency or, move to a better paying employer. When an employee leaves a company, the employer is usually left with the task of replacing him or her. A process that requires time and financial investment. Outsourcing can help your business avoid employee turnover issues. Rather than have in-house designers and worrying about them quitting their jobs, outsourcing gives you peace of mind knowing that your chosen service provider will be available throughout the project period. In addition, outsourcing gives you more flexibility over the length and terms of the contract. Employees are a business’ greatest asset. However, they’re also the most expensive to maintain. Hiring a new employee comes with numerous costs most of which are required by the law. Some of the employee related costs your business needs to incur when you hire permanent staff include health and insurance cover, monthly wages, bonuses, paid leave and more. One of the great outsourcing advantages is that you don’t need to incur most of these employee related costs. All of these costs are handled by the web design agency or specialist you hire for your project. The only cost you need to incur is that of paying for your website design. Businesses are being forced to lay off some of their staff due to redundancy. For example, a business might hire web design staff to work on a new short term project. Once the job is complete, the business will have to lay off the designers since their services aren’t needed in the immediate future. Hiring and firing staff every once in a while can turn expensive in the long run. Outsourcing offers a cheaper and more flexible alternative to hiring in house staff. It allows you to only pay for specific skills when needed. It also allows you to choose among many different web design specialists and choose the one with the right skills and the best rates. 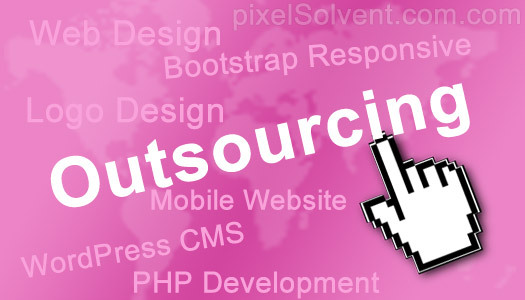 These are just a few of the benefits of outsourcing your web design projects. It helps you save time and costs associated with finding and hiring permanent staff. Outsourcing to India also helps you concentrate on managing the important aspects of your online business such as marketing and branding while the service provider focuses on building and maintaining your business’ website.